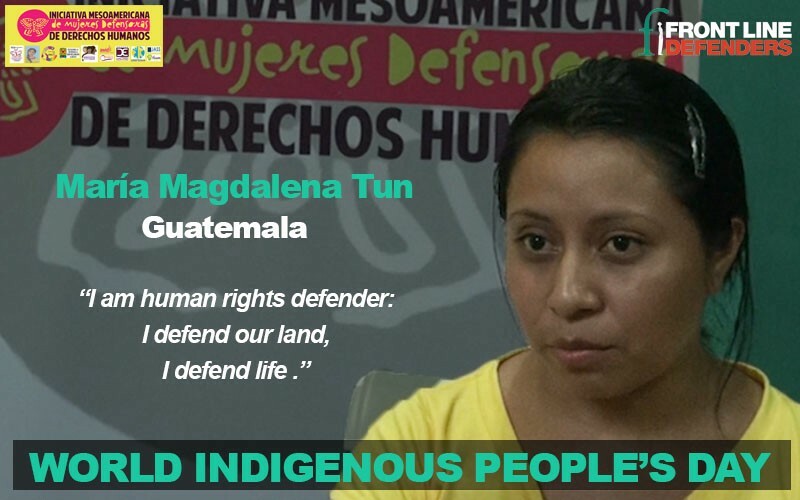 María Magdalena is a Guatemalan Maya K’iche human rights defender (HRD), who is struggling against the abuses committed by private companies who manage mining or hydro-electrical projects in her region. 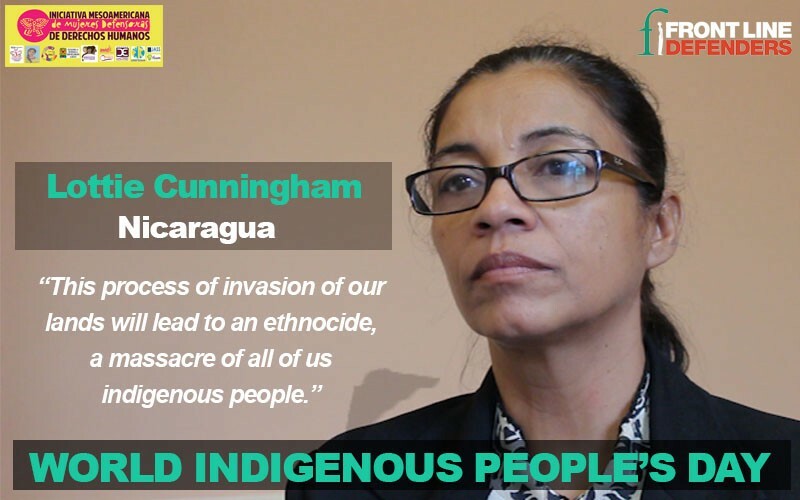 Together with the other members of the organisation “Voz de la Resistencia” (Voices of Resistance), she raises awareness among her community about the negative impact of mega-projects in her region. In particular, she tries to engage more women in the struggle, as they are often marginalised and excluded from decision-making processes in their communities. According to María Magdalena, little has changed from the colonial times. When Spanish conquistadors arrived in Guatemala, they killed indigenous people or they forced them to relocate to other places. The big multinational companies are now effecting a similar strategy; many see it as a new form of colonialism. “We started to get organised in women’s groups because in the rural areas there is a lot of discrimination and machismo, patriarchal power is so strong there. Here in the mountains there is an indigenous government composed of 350 men. There is not one single woman in the cabinet, because they don’t care about us”. 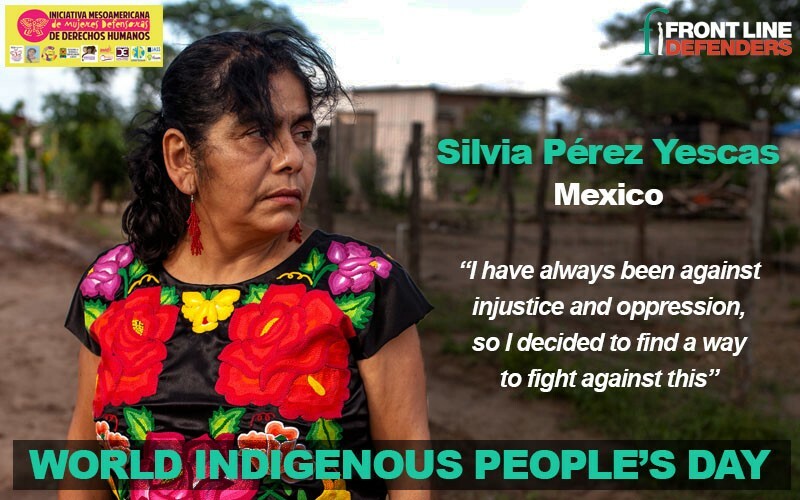 Despite all the threats and the attacks they suffer, indigenous WHRDs are on the front lines of resistance: every day, with great courage, they continue their peaceful struggle. 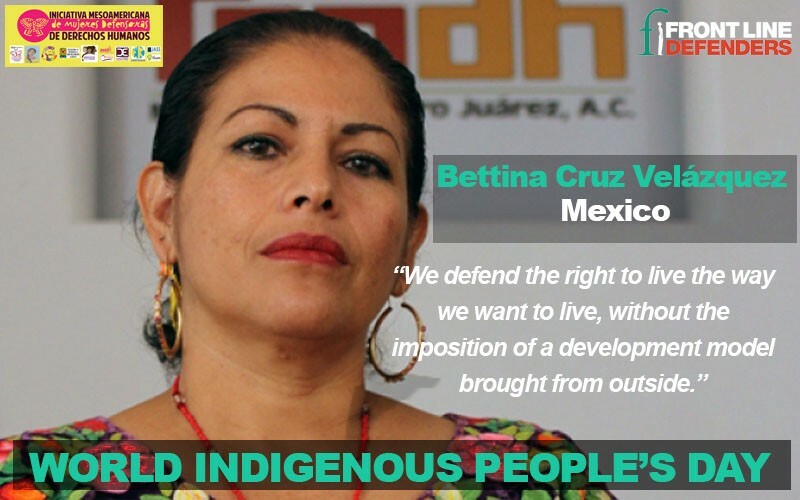 Bettina Cruz Velázquez is a Mexican human rights defender and member of the Assembly of the Indigenous Peoples of the Tehuantepec Isthmus in Defense of Land and Territory, in Oaxaca. After writing a thesis on the negative effect of a wind energy project developed in her region, Bettina started informing her community about their rights and the consequences of what she calls “green capitalism”. Because of her work, she has been arrested on fabricated charges, threatened, harassed and attacked. In 2011, she was even assaulted by state police. Yet, she has never given up. “They say women are weaker, because they want to delegitimise our work, but I think we are the strongest, because in this struggle for the territory and for the land, women are those who are more committed. It is because this is about life itself: if you lose your land, you lose control over your life, and women are life-givers: if we lose this, there is no more future, nothing in front of us,” says Bettina. “It is now 10 years since the UN Declaration on the Rights of Indigenous Peoples was adopted by the UN General Assembly, as the most comprehensive international human rights instrument for indigenous peoples. But a decade on, we need to acknowledge the vast challenges that remain. 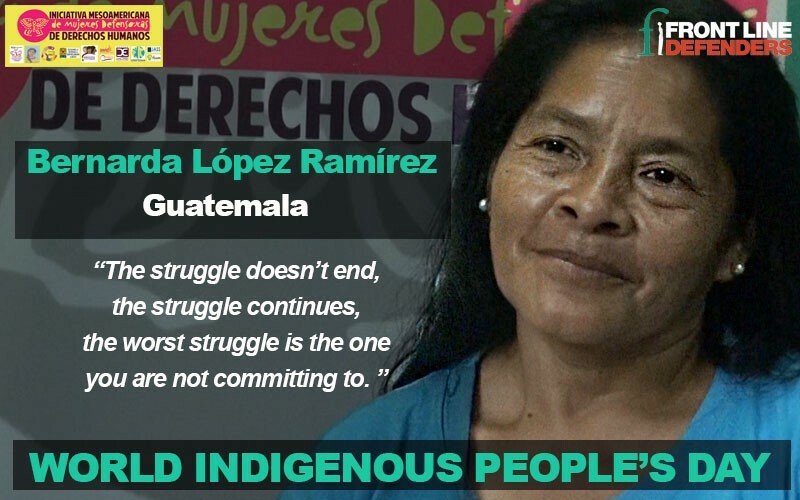 In too many cases, indigenous peoples are now facing even greater struggles and rights violations than they did 10 years ago”. “The struggle doesn’t end, the struggle continues. The worst struggle is the one you are not committed to”. 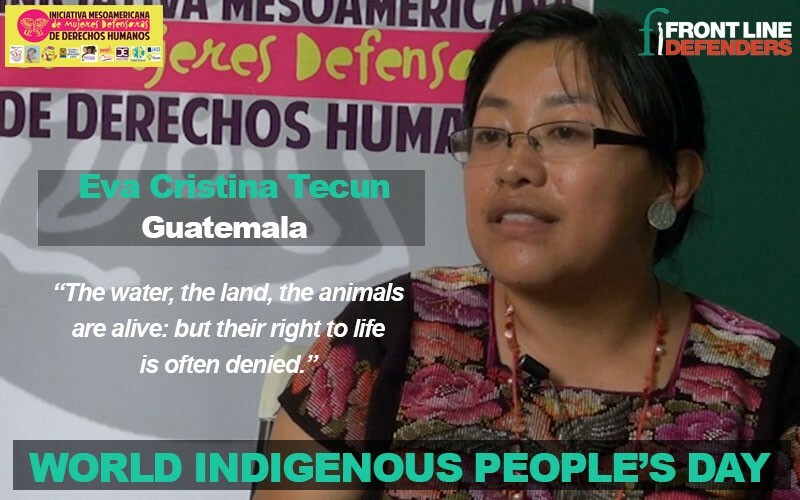 To mark International Day of the World’s Indigenous Peoples on 9 August, Front Line Defenders honours the work of all HRDs who face immense risks advocating on behalf of their indigenous communities.